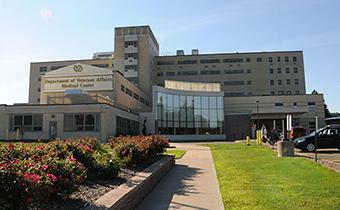 In 1951, The Erie community received a brand new medical center solely for the care of veterans. We have the honor and privilege to serve veterans in a nine-county area within Northwestern Pennsylvania, Eastern Ohio, and Southwestern New York. We are honored to serve those who lived a commitment to protect our nation. Erie is centrally located and is only a two hour drive to Pittsburgh, Cleveland, Buffalo, Niagara Falls, and Canada. Erie has a number of colleges and universities, including: Penn State Erie The Behrend College, Mercyhurst College, Gannon University, Edinboro University, LECOM Lake Erie College of Osteopathic Medicine, and Center for Advanced Manufacturing (CAMtech). Some of the best fishing in the Region takes place in Lake Erie and its tributaries. Field and Stream Magazine ranks Presque Isle "one of the top 20 family fishing spots in the nation." An average of 1.5 million fish are caught each year in the area.